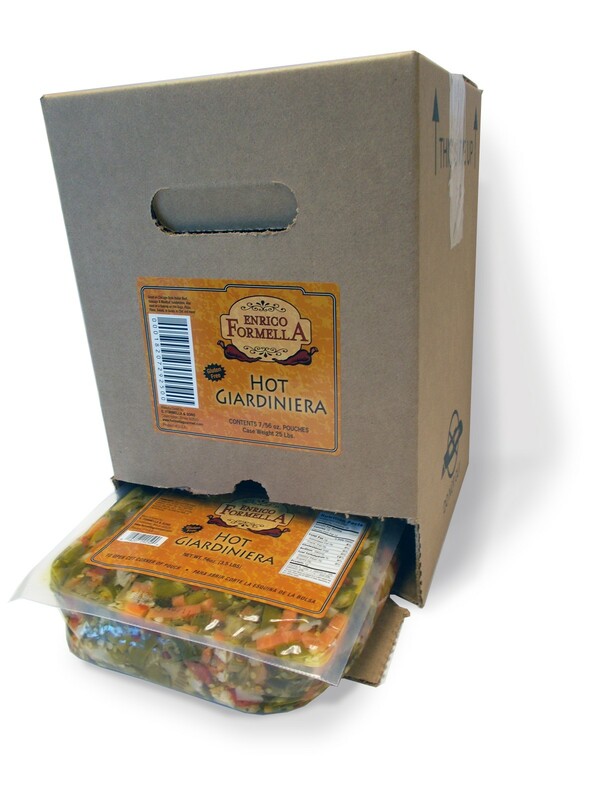 This new system provides you the opportunity to lower your overall spend on Giardiniera. 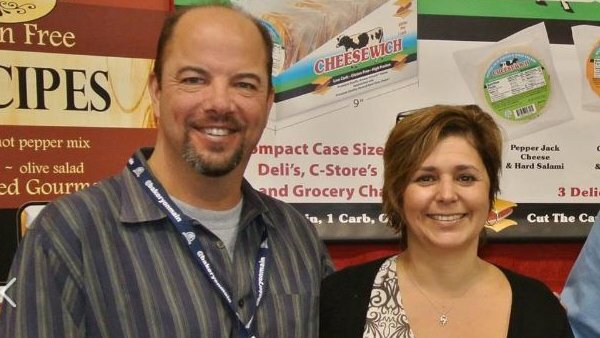 You will not only benefit from the initial savings per serving on the lower cost of the product itself, you will also realize additional savings as outlined below. Utilizing Formella’s New Unique Dispensing System, you can go from Pouch to Pan in seconds with NO MESS. 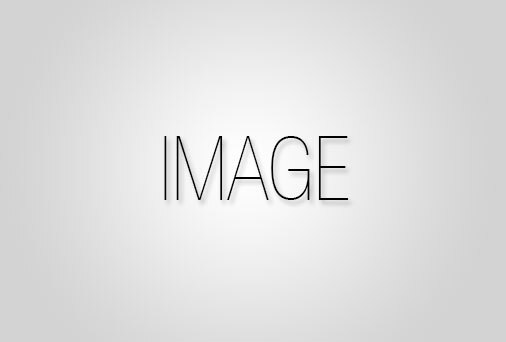 This system is designed to fill the standard 1/6th prep pan. 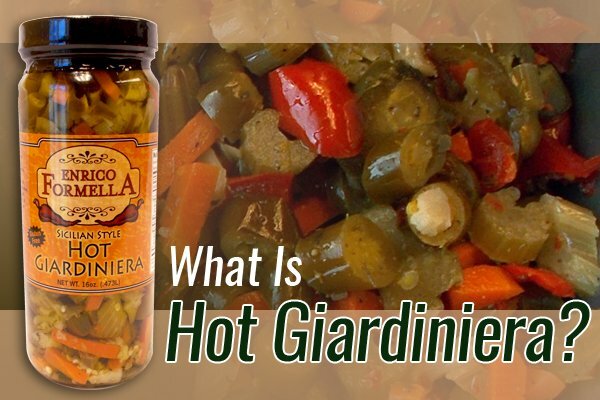 This new system provides you the opportunity to lower your overall spend on Giardiniera. You will benefit from better portion control and improve efficiencies in the kitchen. 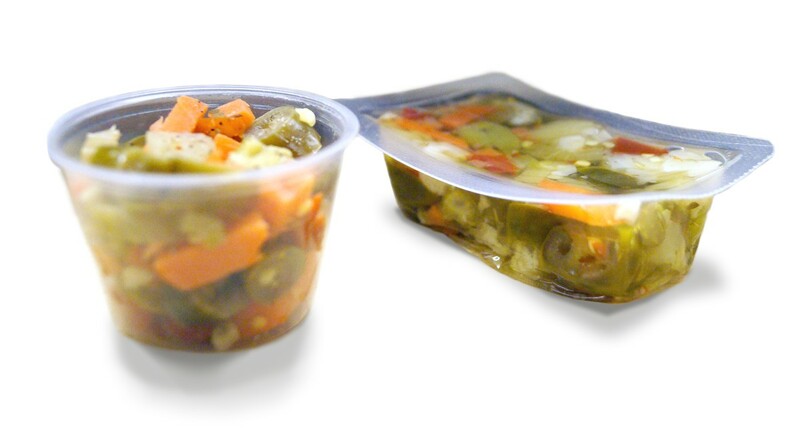 Utilizing Formella’s New Unique Single Serving System, your employees will not waste valuable time straining giardiniera from the bulk containers to fill the small solo cups. Unique blend of peppers & crisp vegetables (cauliflower, carrots & celery) in oil. 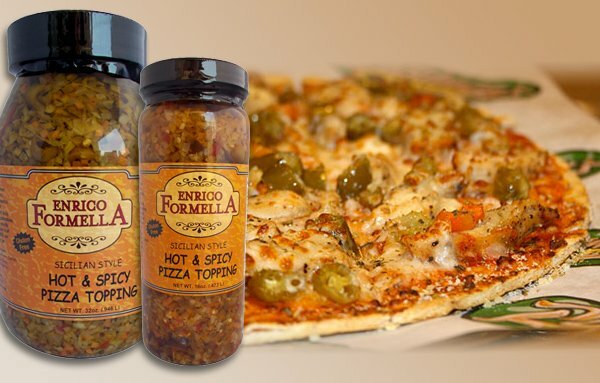 Delicious blend of olives, crisp vegetables & herbs. Delicious blend of crisp vegetables, black and green olives & herbs in oil. 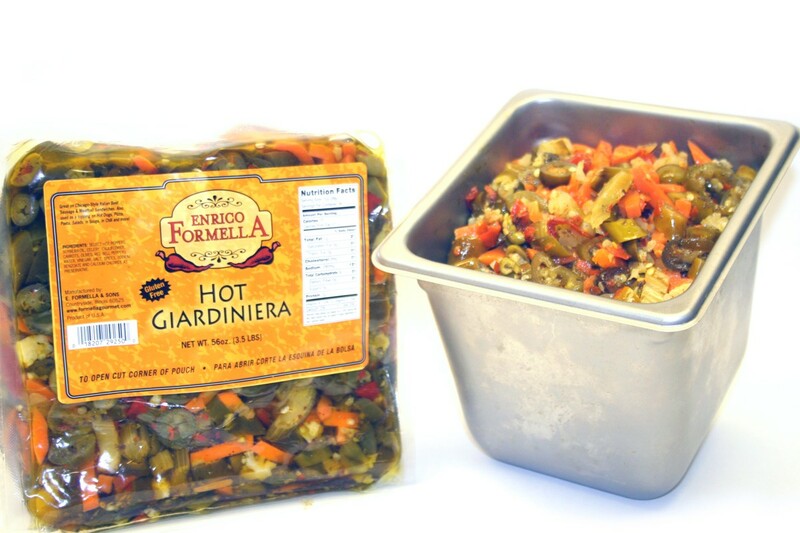 Our delicious Giardiniera finely chopped.